Grenadine is that bright red, super sweet syrup that helps put the sun in a Tequila Sunrise and makes a Shirley Temple blush. It also occasionally puts the cherry in cherry cokes, but actually, grenadine is traditionally made from pomegranates (grenadine is French for pomegranate) and has a lot more going for it when you make your own. 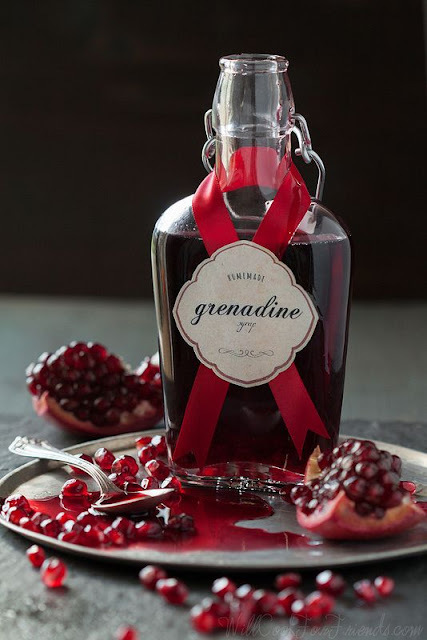 This quick, simple method for making homemade grenadine allows the tartness of the pomegranate to really come through and is a big improvement over the commercial versions.